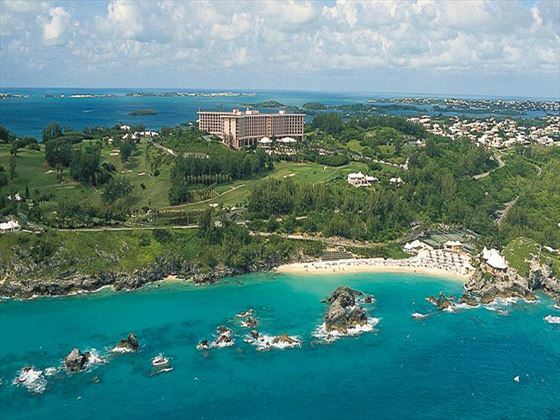 Southampton hotel, Bermuda. Book with Tropical Sky today. 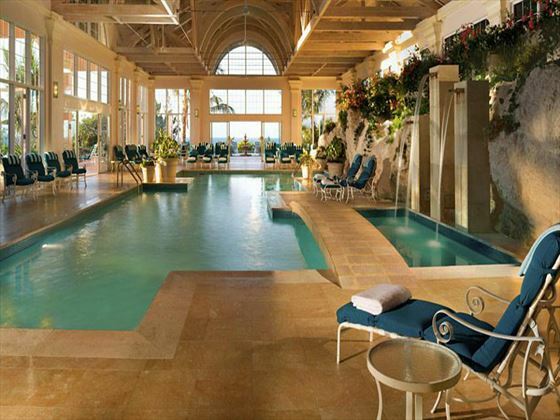 The Fairmont Southampton is packed with amenities and is well known for its high quality 18-hole golf course par 3 boarded by tropical gardens. 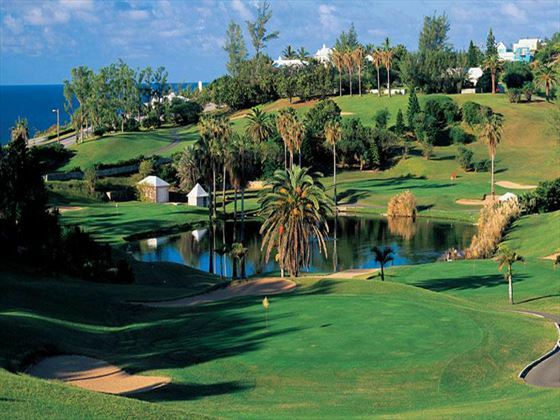 Its dramatic elevation changes and strong coastal winds help make it a challenging course for players of all abilities. 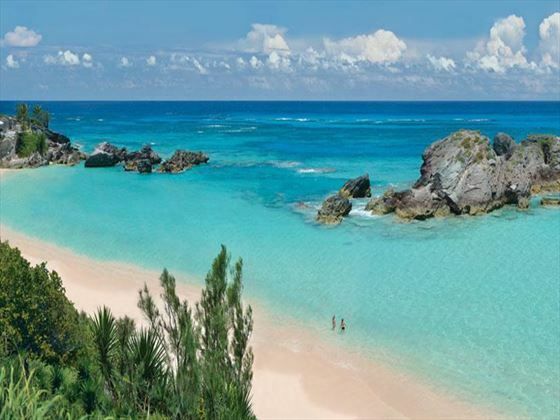 This excellent resort also offers the 31,000 sq ft Willow Stream Spa with 15 well-appointed treatment rooms and multiple relaxation lounges and a state-of-the-art ocean view fitness centre. 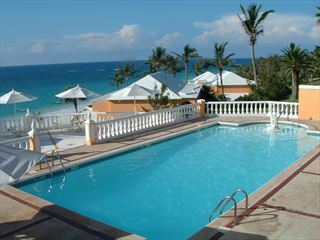 Added to this there are tennis courts, a kids’ club, poolside service, a beach club, PADI scuba diving centre and The Cellar nightclub. 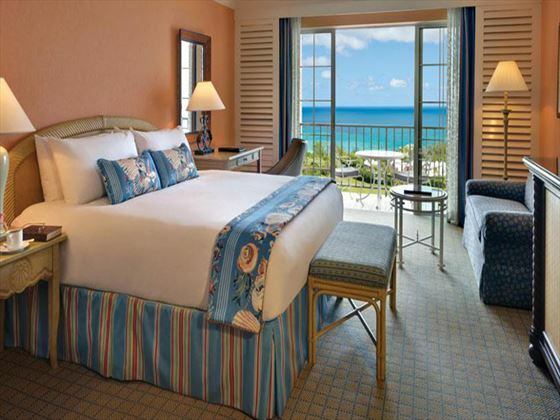 Many of the rooms enjoy magnificent ocean views and are excellently appointed with private balconies, walk-in closets and marble bathrooms. 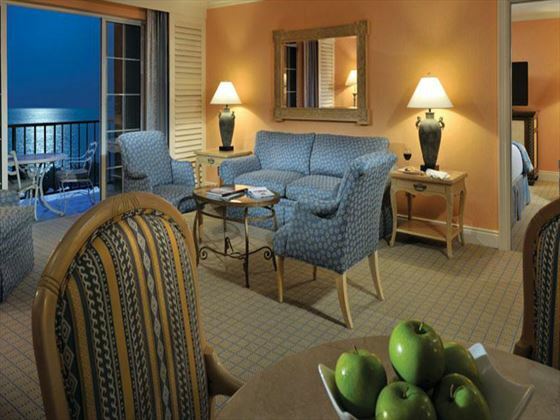 For something extra special you can upgrade to the Gold Floor offering an extra level of luxury and service. 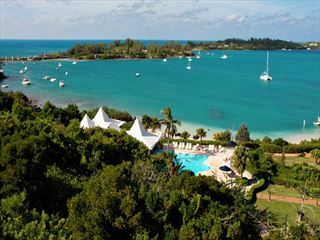 Total of 593 rooms and suites each with a private balcony or terrace, internet access, a minibar and a choice of golf course, harbour and ocean views. 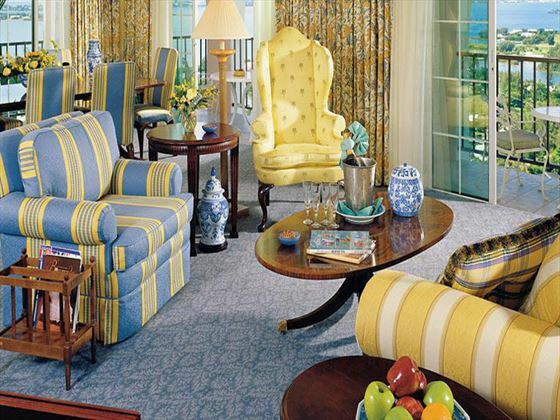 A range of suites including duplex, family, one- and two-bedroom and penthouse. Executive Par 3 Golf Course overlooking the gorgeous South Shore, with another course at Riddell’s Bay, a 5-minute drive away. Explore the island on foot or with a rented scooter. 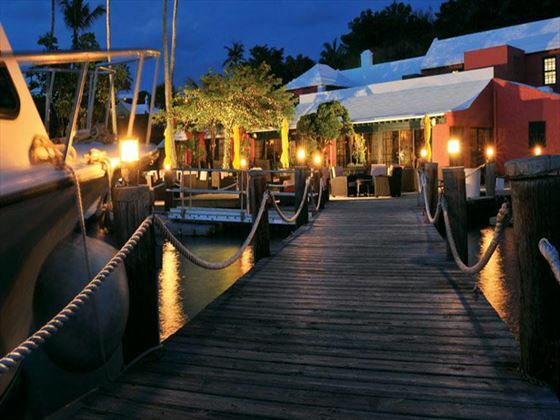 Try the sumptuous steaks and chops at the Waterlot Inn. 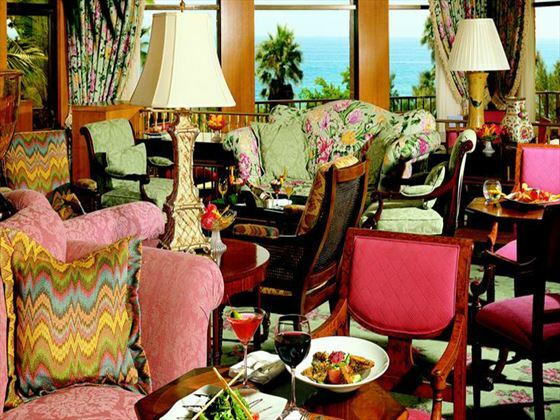 For the finest in European cuisine, dine in the elegant atmosphere of the award-winning restaurant Newport Room. Bacci offers authentic Italian cuisine. For a light evening meal with beer on tap, try The Cellar, a fun atmosphere with nightly entertainment. Jasmine Lounge also offers a light menu for lunch and dinner. Wickets Brasserie is the ideal spot for family fare. The Beach Cabana and Golf Hut offer a variety of sandwiches and salads.